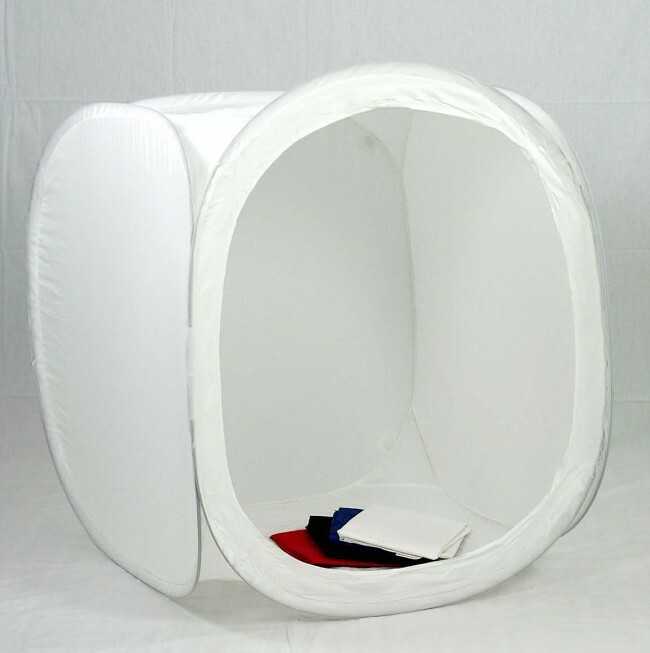 The Tent is a high-quality, translucent cloth enclosure for photographing small and medium sized products. It can be lit with daylight, HMI, electronic flash, fluorescent quartz and tungsten light sources. The Tent can be lit from the sides, top, back, front or can be placed on a glass or Plexiglas shooting table for bottom illumination. Lighting is made simple and efficient and takes less time than conventional lighting solutions. Complete portability in design with one-touch set up and breakdown. Front panel peels back on all three sides for ease of positioning products inside. Ideal for catalogue photography, online auction photography, collectables and product photography. Enables you to create your own portable, self-contained, table top lighting studio. Our Light Tent's special photographic nylon fabric diffuses the external light source, softening shadows and reducing glare, making it ideal for photographing shiny or reflective objects. It also provides a choice of uniform backgrounds against which to pose the objects and can be used with digital or film cameras.Our 80cm (32") Light Tent Cube is made from photographic grade light diffusing white nylon fabric (non-yellowing). Its superior colour-neutral textured finish offers significantly more light diffusion than standard nylon grades. It is supplied with a detachable front door cover incorporating a slit for your camera lens, particularly useful when photographing highly reflective objects such as silver and glass. 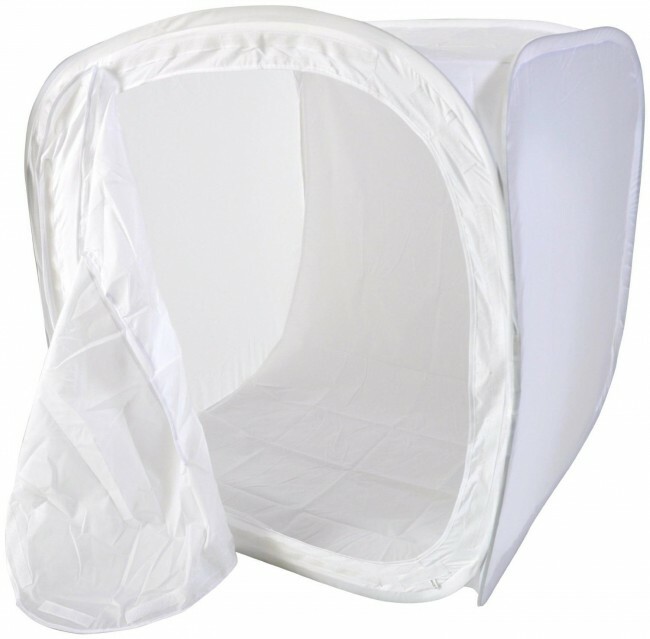 Four background cloths to cover the back and floor of the Light Tent are included . These provide a choice of non-reflective 'infinity backdrop' colours for your objects.